Wool Hunting Tie. 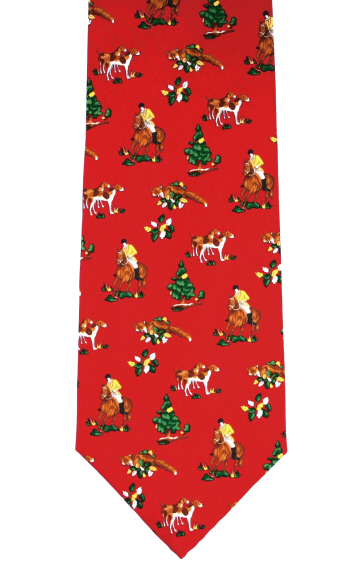 An unusual Hunting motif necktie with horses and hounds hunting scene on a mustard coloured background. An exquisite large handkerchief with a hunting scene showing huntsmen, horses and hounds, in olive green with co-ordinated tartan border made from pure English silk.